A great excuse to get dolled up, the Limerick Racecourse is a fab, super glam day out for hen parties. Don your finest frock and pop a long for a fun day with the girls – enjoy a flutter on the horses and drinks in your own VIP section, you can even arrange dinner too. There’s also some sweet little extras for the bride-to-be including her very own race card profile – a gorgeous keepsake from the day! 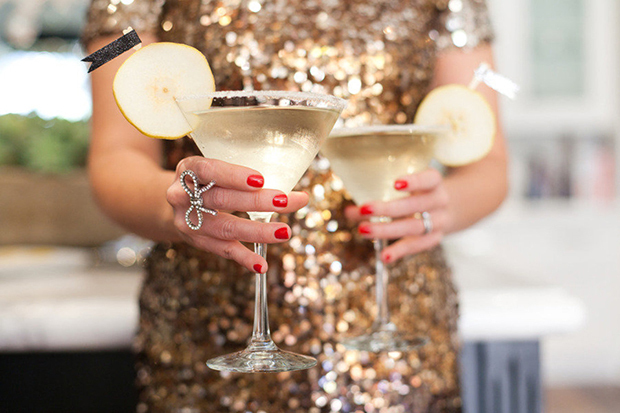 If you and the girls like the idea of sampling a few cocktails, a cocktail making class can be lots of fun. If you’re heading to or based in Dublin, Wrights Cafe Bar in Swords can show you how to whip up some masterpieces. Or if you fancy combining cocktail making with karaokeing, Coyote’s in Galway have some awesome packages. If you’re a foodie and love nothing more than the chats with the girls, why not treat yourselves to a fab meal. Ireland is home to some amazing restaurants from tasty tapas to casual eats and cocktails. The charming Sol y Sombra in Killorglin, Kerry is the go-to spot for amazing tapas in the most beautiful surroundings. This converted church is known for its fab food and if you want to throw some entertainment in to the mix, they can arrange wine tasting, cocktail making or even a spot of pole-dancing or Burlesque. Or if you’re in Dublin or are travelling to the capital, Swords is home to Empire Bar & Grill, Wrights Cafe Bar and Hogs & Heifers where you can get a fab meal plus a cocktail and a glass of bubbly for €25 per person. If you’re looking to get glammed up for a night on the tiles with the girls, book yourselves in for a fun filled afternoon with the lovely Powder Room Girls. You can pop by their studio in city west for an afternoon with the pros where you’ll pick up some tips and tricks as well as getting your hair and makeup perfected for the night ahead (a glass of bubbly too!) or they can come to your place if you’d rather get ready at home. If you’re a wine connoisseur (or you just love your vino) and wouldn’t mind getting to grips with a glass or three, a spot of wine tasting could be the perfect activity for you and your gang. Create Your Night can arrange a fab, fun night of swilling vino in the Temple Bar or Ormond Quay area of Dublin where you can sample 6-8 different wines, learn some interesting facts along the way and tuck in to Meat & Cheese platters to keep you going. They’ll then whisk you off to a bar/club afterwards so you and your girls can enjoy a night of dancing! Check out more of Create Your Night’s packages and activities here. If you love your chick flicks, this could be the perfect way to kick start the celebrations. The ultimate girly night in – cosy up with your besties and enjoy one of your all time fave movies over nibbles and drinks! Hen Party Central can arrange a private screening of your movie of choice at a city centre bar (package is available nationwide) with drinks (a glass of wine, beer or a soft drink for all your girls), popcorn and peanuts included. 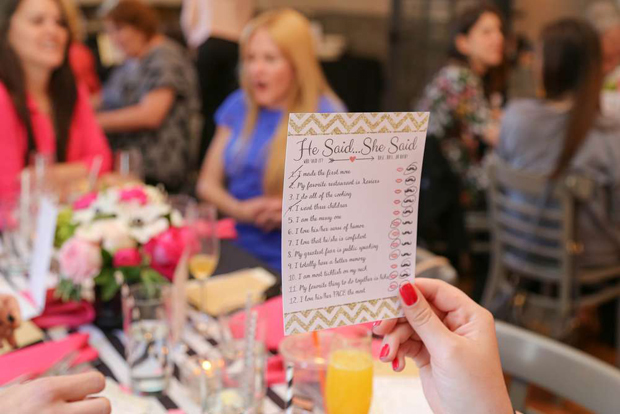 Check out more of Hen Party Central’s packages and activities here. If you’re a fan of times past, afternoon tea is a dream hen activity. TheFancyHen.ie can arrange a fab vintage tea party complete with your very own vintage tea lady who’ll serve up lots of yummy treats including gourmet sambos, tasty cakes and lashings of tea and coffee (champers can be arranged too!). 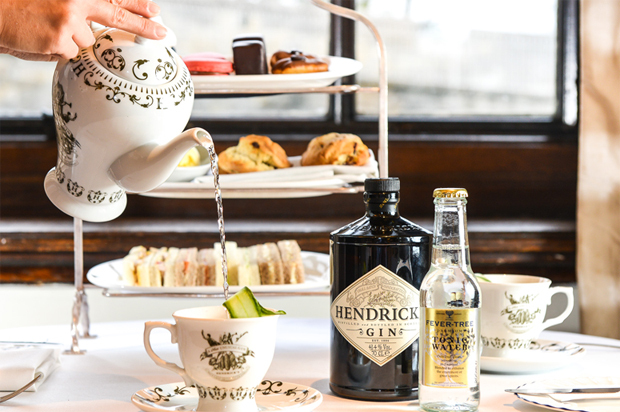 Or if you’re more of a gin girl, they can organise a Hendricks Gin Afternoon tea party where you can munch on tasty treats with Gin tipples served in the fanciest china! Check out more of TheFancyHen.ie’s packages and activities here. If you want to bring the party to you own front door, you can hire one of these awesome trailers for a fun hen party at home! Mae is an adorable 70s vintage caravan from Vintage Vanp that can be used as your own little tea party station or the fanciest cocktail or Prosecco booth ever. Or if you want to bring the pub atmosphere to your gaff, the super cute Shebeen is a traditional Irish pub on wheels. You and the girls can have the craic and toast each other in the cosiest surroundings. If you like a bit of a challenge and fancy getting outdoors for a couple of days, Kippure Estate in Wicklow is a gorgeous base. With cosy cottages you can rent and an awesome activity menu including their popular Wild Wicklow Woman adventure package (where you can try your hand at the likes of Welly Wanging – throwing your wellies as far as you can FYI) and their Chocolate Hen Challenge (we’re talking everything from Aero Archery to a chocolate themed treasure hunt). Or if you’re after a cosy evening of chats in beautiful surroundings, thy even have a Girls Night In package which includes chocolate Fondu and wine. If you and the girls are looking to indulge with a bit of pampering, a spa break could be a gorgeous way to toast the bride-to-be. 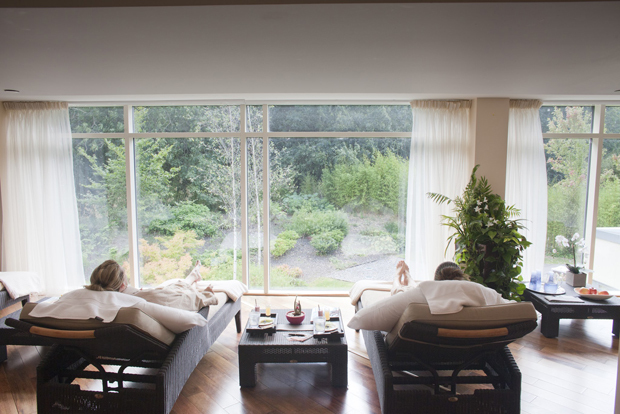 If you’re after a fun getaway in idyllic surroundings, Fota Island in Cork boasts an incredible spa with some gorge packages (they even have a chocolate inspired one) plus they’re close to Cork city if you fancy a night on the tiles. Or if you’re looking to celebrate in the capital, the Marker Hotel in Grand Canal Dock can also offer you some 5 star luxury. It’s right beside the Bord Gáis Energy Theatre if you fancy catching a show too! Bring a bit of 80s fun to your Hen with a roller skating disco session! Don some leg warmers and a pair of roller skates and fly about the rink with your girls to an awesome 80s soundtrack. You and your ladies can have a ball singing along and pulling some moves – pop over to HenParty.ie for more info on this fun package, available in Cork, Limerick, Belfast and Dublin. 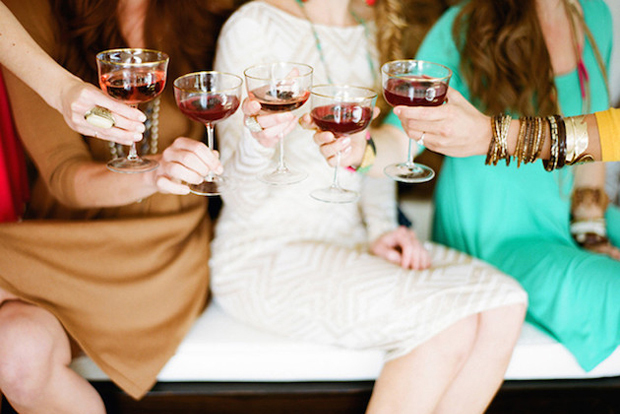 Check out more of HenParty.ie’s packages and activities here. If you and the girls want a fun, energetic start to the hen and want to learn something new, sign up for a dance class! Whether you fancy learning a routine or how to Cha Cha or Salsa, professional dance instructor Patrick from I Know a Guy can teach you and the girls some fun moves. It’s a great ice-breaker and will be awesome craic to boot. Find out more here. Whether you’re looking to enjoy some challenging activities, a fun photo shoot with the girls, a pole dancing class or some pampering, there are options a plenty at the Headford Arms. One of their most popular packages has to be their ‘For the Birds’ Causey Farm experience – a trip to Causey farm where you can enjoy an afternoon of farmyard antics. 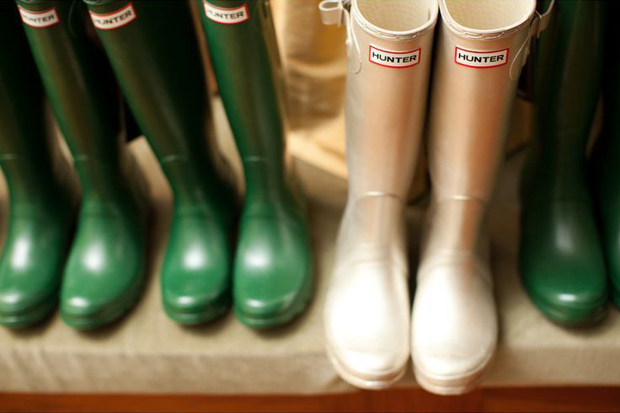 Take out a tractor and trailer through the forest, enjoy an ancient Irish pedicure with a walk in the bog and paint the hen’s life story the barn wall for starters. Packages include lots of lovely extras including lunch on arrival, dinner, luxury accommodation, entry to VIBE nightclub and a full Irish brekkie the next morning. Looking for some fun accessories and decor for the hen? Pop over to Irish online stores JokeShop.ie and Henworld.ie who stock everything from cute sashes and personalised tees to tiaras, inflatables, gifts, party supplies and even costumes!